I really like it. please make lots more….. Thank, Marcus, and Ali for the little reports. Very good easy read and informative.I don’t have a website yet I’m in the process building now with some of your teachings. Thanks for all you do. The step-by-step checklist, with links, is perfect for those of us who are easily distracted. Thanks Marcus and Ali, nicely put together good info! Great marketing guide and thanks a million for this information! Thanks Ali and Marcus, nice and concise, helps to keep the focus. Just because a report is longer certainly does not make it better. Very concise without all the fluff. Good job Ali! Preparing to buy your course very soon.keep the mails coming. Thanks Alli, This is the kind of thing I need, to refer back to. These footprints make it easy to understand what I’m doing, keep up the good work . Specially per person like me that’s new, five stars , Have a great day. 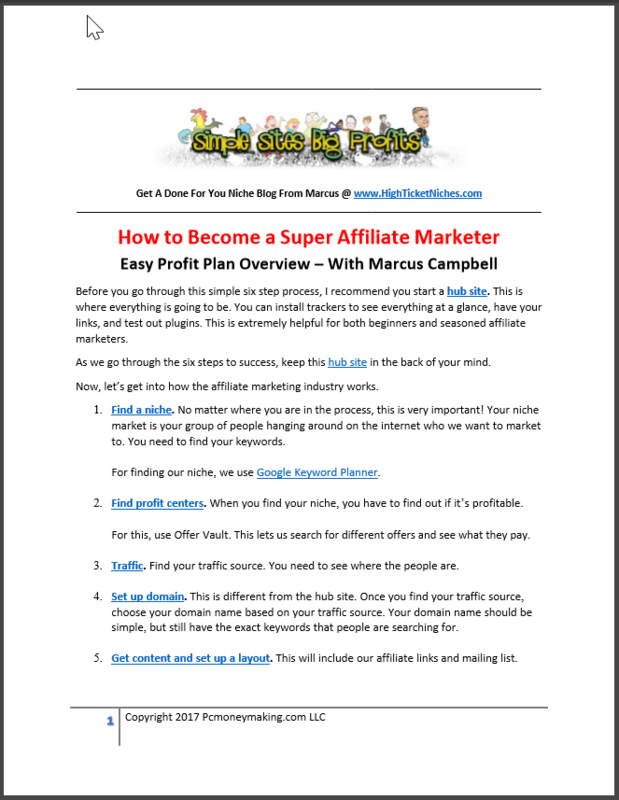 Thanks Markus and Ali this was a good info, it’s going to be of a very good help to me. Nice report Ali, short- concise without having to read loads of fluff. Mind you, with Marcus behind you – you can’t go wrong! Beginners like myself spend more time trying to put information in perspective to better understand the process. Thanks a lot for this short but highly loaded report. Hope to see more of this. Thank you Ali and Marcus for the report. Have a pleasant week. Awesome, easy to understand, valuable information shared in a short report. There’s nothing better!! Or more helpful! Thanks Marcus and Ali. This is the best program eva B-) Props to being bosses. Thank you for the step by step overview of the system! This is very helpful. I really appreciate it!